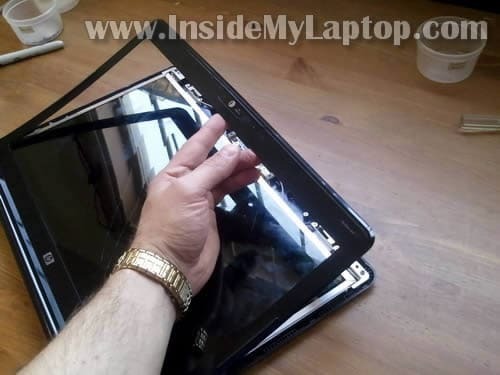 Remove both covers with a sharp object and glue somewhere on the bezel (so they don’t get lost). Remove both screws found under those covers. 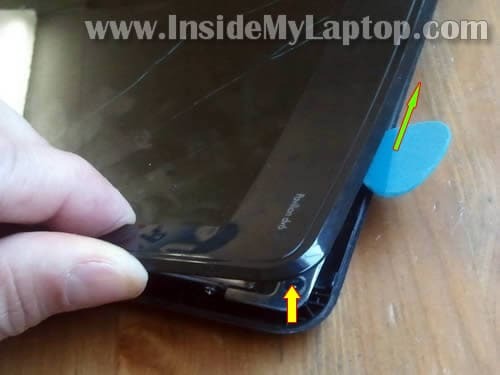 Carefully separate the bezel from the display cover. You can use a guitar pick as case cracker. Using the guitar pick (or any other piece of plastic) separate the bezel from the cover in the hinge area. 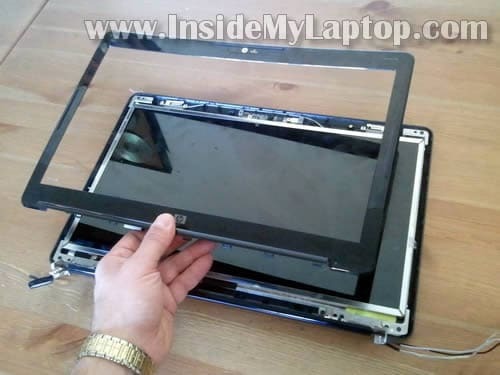 Remove eight screws securing LCD mounting brackets to the display cover. 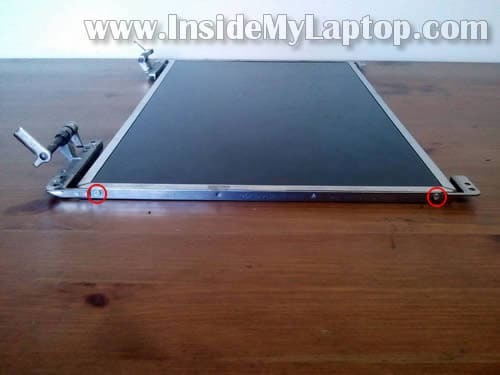 Carefully separate the LCD screen assembly from the display cover and place it face down on the table. 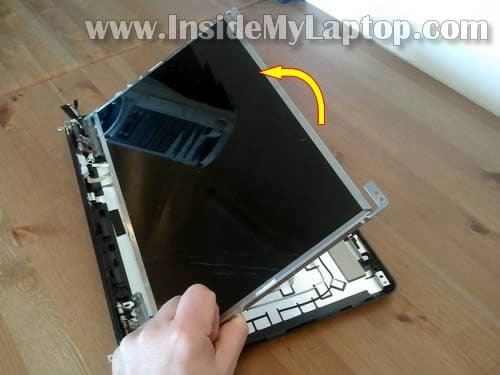 Separate the LCD assembly from the display cover. Finally, remove mounting brackets (hinges) on both sides of the damaged LCD screen and transfer them to a new one. i change a lcd, but the new no have image or energy, i follow all step one by one, well the bronken lcd, work, but the new not signal, any wrong? only transfer or i need another instruccion to mount a new lcd??? by the way, the bew lcd have this model b156xw02 v6, and the old b156xw01 v.2, this is a problem?? Old LCD screen cracked. Replaced it with same type LCD screen. Booted and get white screen then colored vertical lines on screen. Any Ideas as to what is going on? Make sure that all the wires are in all the way. this can sometimes lead to the problems you are experiencing. I have Hp pavillion dv6 1204au laptop unfortunately water spilled in it.The Socket between lcd flex and inverter got rusted(lcd out has 5 wires and inverter in has 4 wire socket) . Can u help me where does the 5th wire go to. I would suggest replacing the video cable and probably inverter too. 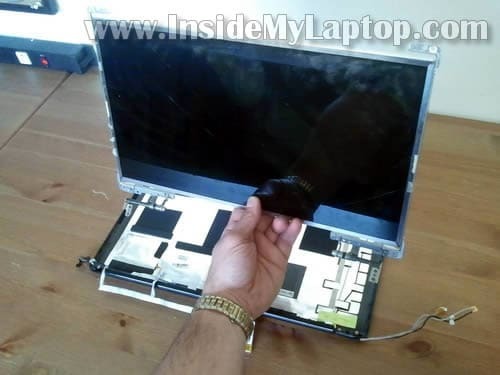 Do not play with rusted parts, you can damage the whole laptop. 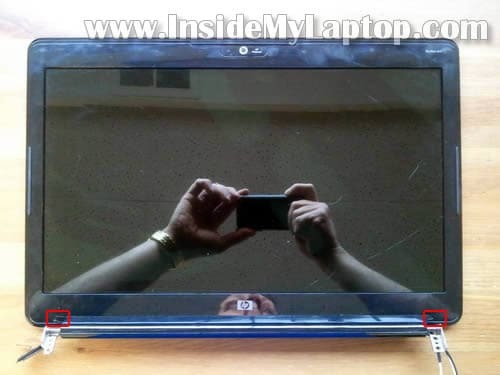 I used your site to replace the screen for my HP Pavillion DV6-3216. I disconnected the cables attached to the keyboard and had trouble getting them back in. In my efforts I broke two of them and lost one. Now it won’t power on at all. I did touch the screen where it said do not touch, but it was while the plastic was still on removing it from the box. Help. I can’t use my new computer and due to my low finances can’t afford the repair shop. Any ideas? I have a problem with my LCD monitor and with an older laptop I had an issue with an inverter. i did not notice in the instructions where the inverter is located in the DV6. When I look at the bcak of the monitor there is a pc board with a 40 pin connector. Is that it or is it in the laptop itself? i did not notice in the instructions where the inverter is located in the DV6. 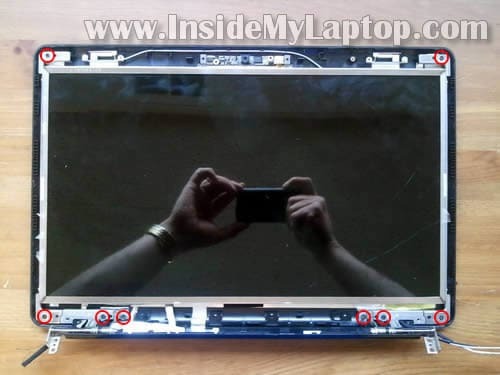 This laptop has a LED backlit LCD screen installed which doesn’t require the inverter board. If the LCD screen doesn’t light up, probably it’s bad screen. When I look at the bcak of the monitor there is a pc board with a 40 pin connector. Is that it or is it in the laptop itself? This is part of the LCD screen. I want to replace LCD with a touch screen. Do you know witch touch screen would work with an HP? I could be wrong but I don’t think it’s possible. This model is not designed to work with the touch screen. now the screen is black but with a torch I can see what happen on the screen,but I lose track of the mouse very often. Did I have 2 replace the full screen or the LED so the shop don’t take me for a ride. I’ve a big problem: when I use my pavilion dv6 the screen became white and I have to change inclination of the screen to continue to see it. It seems that the problem became worse day to day.. Have you got some suggestion?? thanks!! I’ve a big problem: when I use my pavilion dv6 the screen became white and I have to change inclination of the screen to continue to see it. It seems that the problem became worse day to day.. Have you got some suggestion? It’s hard to tell what is causing the problem but it sounds like the video cable related failure. You can try replacing the video cable. If replacing the cable doesn’t help, most likely this is LCD screen failure. My hp dv6 laptops screen cracked and this guy who is gonna fix it needs my model number or product number but the sticker on the bottom is worn out. How else can I find the numbers? The LCD model number printed on the back of the screen. Remove the screen, find the model number and order a replacement. hey i have a dv6 -3108ea and i’m struggling to remove the screw covers at all, are these instructions good fro my model? Thanks for posting these instructions, they’re much appreciated. Unfortunately I can’t reach the screws under the covers because the keyboard/laptop is in the way. How do you remove the entire screen from the base in the first place so you can get to them? Thanks a lot for this useful instructions that i used to disassemble my DV6 1222sl. Its screen is still black (I can barely see something) and from what I read everywhere on the internet, it seems to be a problem of inverter, but I could not locate it. Every guide for DV6 shows it at the bottom ol the screen, but in my model there is nothing there. 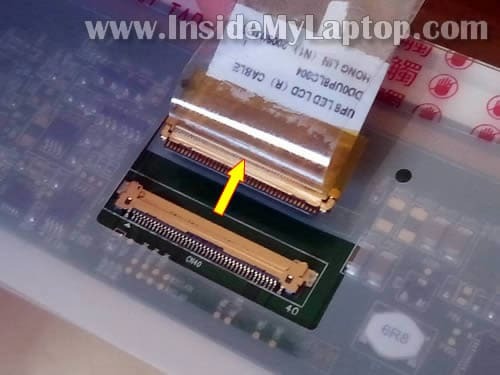 Probably your laptop has a LED-backlit LCD (not CCFL) and it doesn’t require the inverter board. Unfortunately, you cannot troubleshoot the problem without spare parts. I think you pulled a wrong service manual. There are many different flavors of Pavilion dv6. i have a cq50-209wm the screen got cracked i got a replacement put it in started it up and it works fine but the picture lacks 3 inches from the entire right sound of the screen and about a 1/2 inch from the entire bottom, those areas stay black as tho its off while the rest have the whole picture the whole screen should have… any help with this? Installed a new screen and it now just flashes a series of colors continually…what now? Thank you very much for the info, i will donate on paypal. My HP dv6 screen had turned pinkish, grenish with a few horizontal lines. i serched around the net for fixes. I followed your tutorial and i removed the screen and reconnected it all back and evrthing now works fine. I think the cables had loosened up. TIP: Check your cables and reconnect them to make sure its all tight and tighten the screws as well. 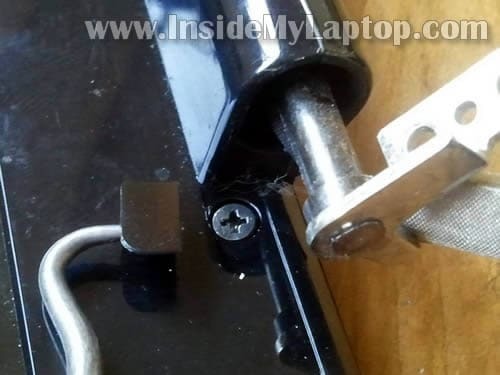 Hi, I wanted to know if this tutorial can be used on a hp pavilion dv6-7078ca laptop or if there is another tutorial someone could guide me to because I can’t seem to find any screws covers anywhere on the display cover of this laptop. My heatsink got filled with dust some time ago and my laptop got so hot it hurt to type the plastic keys were heating up so much. This guide helped me clean it out on my own. Then just recently my laptop fell off my desk and broke the screen. It would have been $170 to get it fixed. I decided to sleep on it and something came to mind. “$170? I could it cheaper myself!” to which I remember I already cleaned the heatsink, why the hell not! I bought a new screen and a new keyboard (hasn’t arrived yet) for literally half the price ($85). Plus, I cleaning out my heatsink again. Thanks a bunch for this tutorial! Real money savor since my back went out at work and also had to help my sister in-law with a root canal. Does this laptop have a video inverter? Did you mean a screen inverter? No, it doesn’t. LED backlit screens do not need an inverter. I just followed your directions to take off and then replace my screen on my HP Pavilion dv6 laptop. Thanks! They were easy to follow and helped a bunch!! 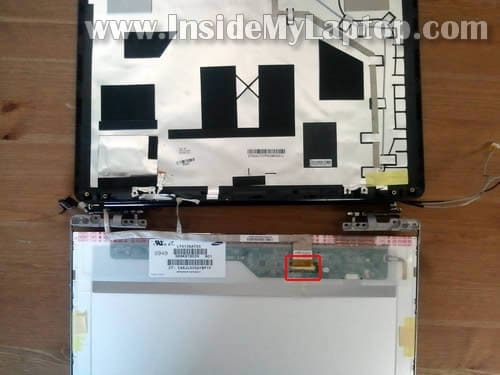 Did you remove the display panel in order to replace the screen? Maybe you forgot to plug in the speaker? Check out the speaker connector shown in the step 20 in this guide. I wanted to thank you for this guide, real amazing effort and extremely helpful. I came home one night to find my screen had a vertical line of dead pixels and needed a new screen. Used this tutorial from start to finish, had zero problems replacing and everything is fixed. Keep up the great work. My screen broke, and I was trying to tell which disassembly instructions of yours that I should use before I take apart the display assembly. My computer says “Version: 6.3.9600 build 9600”. Can you tell me if you cover this version in any of your guides? I followed the instructions and replaced my screen, and the new screen seems to be working fine but now I am getting a failure to boot message. Would this be because I changed the screen? Any ideas on how to fix that? 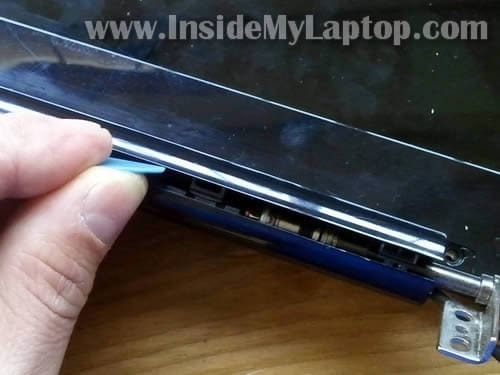 Did you disconnect the hard drive while replacing the screen? If you did, make sure it’s connected properly. Hi. I have a hp dv6-1260ep and the backlight on my screen broke, so I have to change it. Do you know if these instructions adapt to my model? Thanks! I have a hp dv6-1260ep and the backlight on my screen broke, so I have to change it. This laptop has a LED backlit screen. If the backlight stopped working, you’ll have to replace the entire screen. I have an HP dv6-2150us, which is physically damaged. It works fine, but the screen is hanging by a thread and only appears to be attached on the right side. The mounting hardware appears to be broken as one piece which still has two screws in it has a jagged break at the top. Is there any way of repairing this? MY HP Laptop one of the hinges broke , when I open the laptop the side corner of the laptop comes apart , disconnects the screen , the screen is black how can I fix the problem, Is thecable disconnected? I am rebuilding the dv6-1360us. I have tried 2 different screens (LED, no inverter), that work fine on other units. But I have no backlight. You think it’s just a cable?